At the very birth of the Imperium of Man, fully half of the Emperor's most trusted Space Marine Legions turned against him in a bitter civil war. Brother fought brother, and Mankind stood upon the very brink of extinction. Ten thousand years after their defeat, those same traitors still launch their Black Crusades out of the Eye of Terror, their black hearts intent upon nothing less than the utter destruction of the Imperium and the death of its weakling Emperor. Chaos Space Marines - Start Collecting! Chaos Space Marines are corrupt and treacherous super-warriors hell-bent on tearing apart the Imperium. Though they once strode the galaxy as noble defenders of Mankind, a lifetime of unremitting war has driven them to worship the gods of Chaos. These fell deities have rewarded them with arcane powers, daemonic war machines and hellish weaponry with which to slaughter the armies of the Emperor. 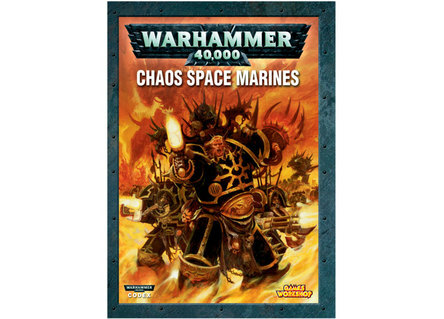 This is a great-value box set that gives you an immediate collection of fantastic Chaos Space Marines miniatures, which you can assemble and use right away in games of Warhammer 40,000! 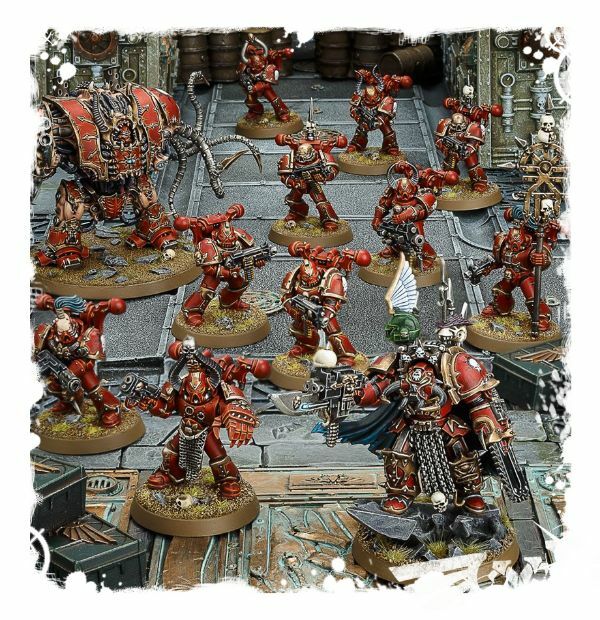 You’ll receive a ten-man set of Chaos Space Marines, a Chaos Terminator Lord, a Chaos Helbrute and an exclusive Chaos Space Marines Formation datasheet – special rules which confer certain abilities on this set when fielded together on the gaming table! #GAW 70-43 - Price: $ 85.00 - $ 68.00 On Sale! #GAW 43-01 - Price: $ 40.00 - $ 32.00 On Sale!